Soil contamination by hydrocarbons is an environmental problem and its remediation is necessary. 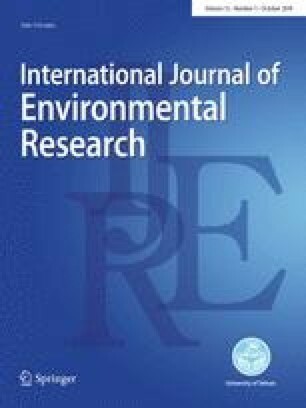 This work presents the effect of ultrasound on solvent extraction of soil contaminated with diesel fuel. For the experiments, the soil was contaminated with diesel (10% wt.). The remediation was carried out by ultrasonic solvent extraction and compared with Soxhlet extraction. The effect of different parameters (time, temperature, soil/solvent ratio and type of solvent) on removal efficiency was examined. With the aim to optimize the ultrasonic extraction, a Box–Behnken design under response surface methodology was used and the proposed model showed a good fit of the experimental data. The obtained results were compared with a conventional solvent extraction (Soxhlet) for both solvents (n-hexane and acetone). Moreover, the phytotoxic effect of soil after remediation treatment was observed on seed germination of Brassica rapa. The obtained results demonstrated that hexane was more effective than acetone in removing hydrocarbons from contaminated soil (80%), and the removal efficiency increased with the soil/solvent ratio (> 1:5) and reaction time (> 90 min). A second-order polynomial model was proposed to predict the removal efficiency of the extraction process. The authors gratefully acknowledge support from Defense University Center and collaboration of Spanish Naval Military Academy.